Another warm season has come and gone. The seasons and our lives are like a spinning wheel, they start with plenty of thrust and excited spin until the energy has been used, the momentum slows and eventually the cycle comes to it's end. It's an inevitability we share with all of nature, even wind has it's end. But we can celebrate what has been. We can take and use what is left behind. Autumn is such an underrated season, but in my world it tops the grade. 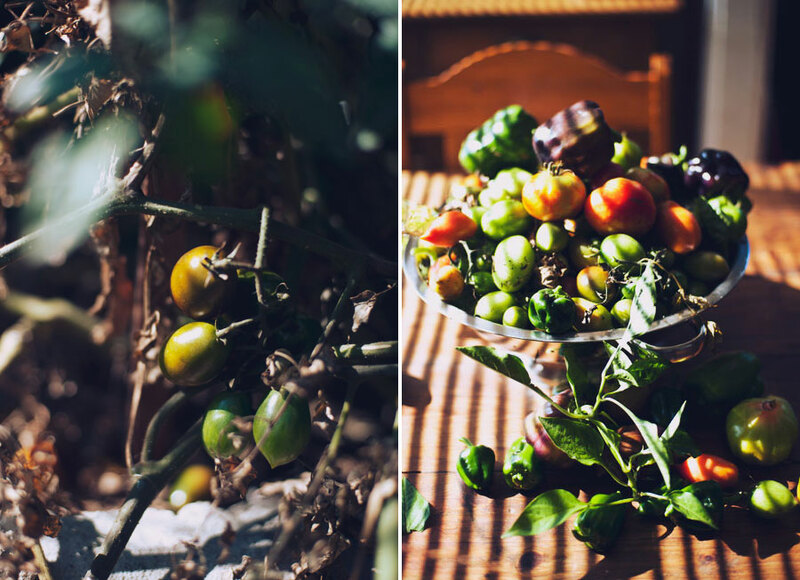 It's when everything in the garden has reached it's peak, has served us well over the warm months and is now on it's downward spiral leaving behind some fond memories and a scattering of physical remnants in the form of unripe fruit. 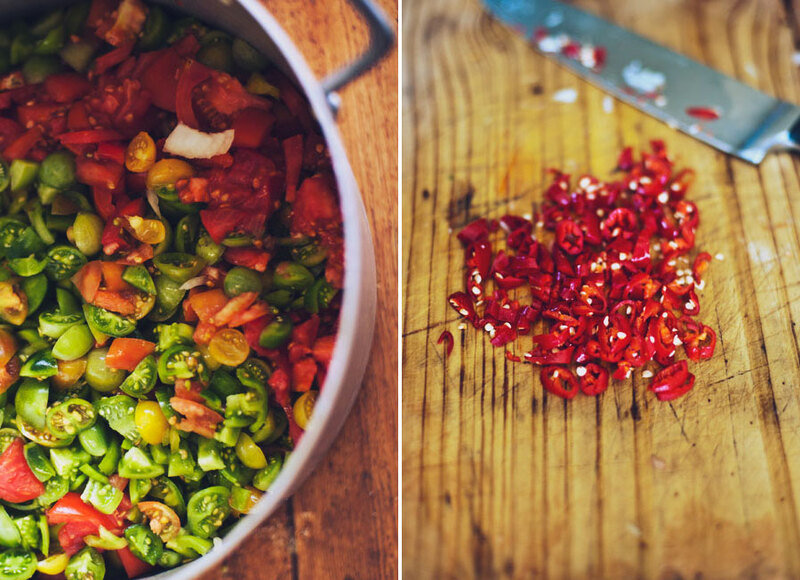 The last few Autumns I've been making a hot chili relish with green/semi ripe tomato. The chili plant I've had in a pot for a few seasons grows some very small but atomic hot chilies, I'm not sure of the variety but I'm guessing Jalapeno, regardless the chili's make a nice little addition to the relish. 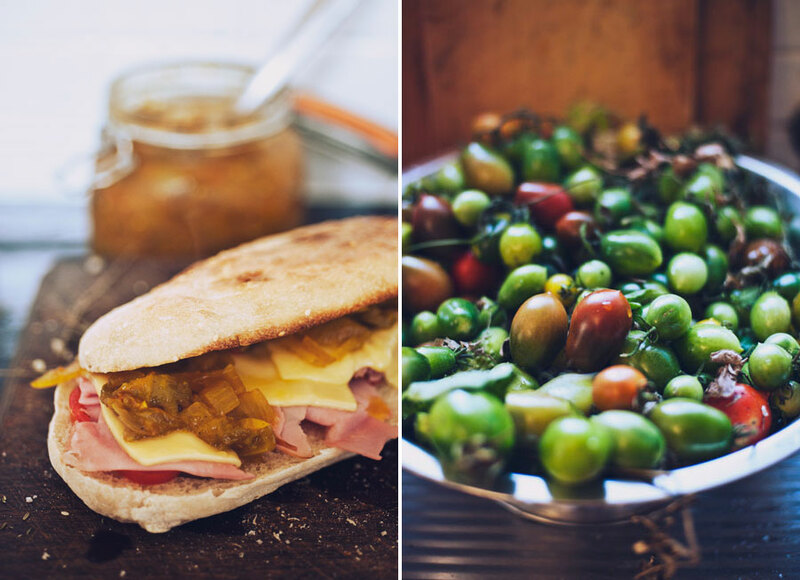 One of winters little treats is a toasted foccacia with swiss cheese or red lester, ham, and relish and this relish makes one of my favorite versions. I made this for breakfast this morning and then walked to work in a light rain dodging the puddles from last nights rain. I welcome the cool season with open arms. It wash's away the dust of summer, it's cleansing and so beautiful. The smell of the forest just after rain, the abundance of mushrooms, the slow cooked rabbit and roasts. And best of all is that I get to wear all my favorite things, jackets, lace up boots and flannel shirts. I get to enjoy warm blankets, cosy fireplaces and plenty of slow old country music. 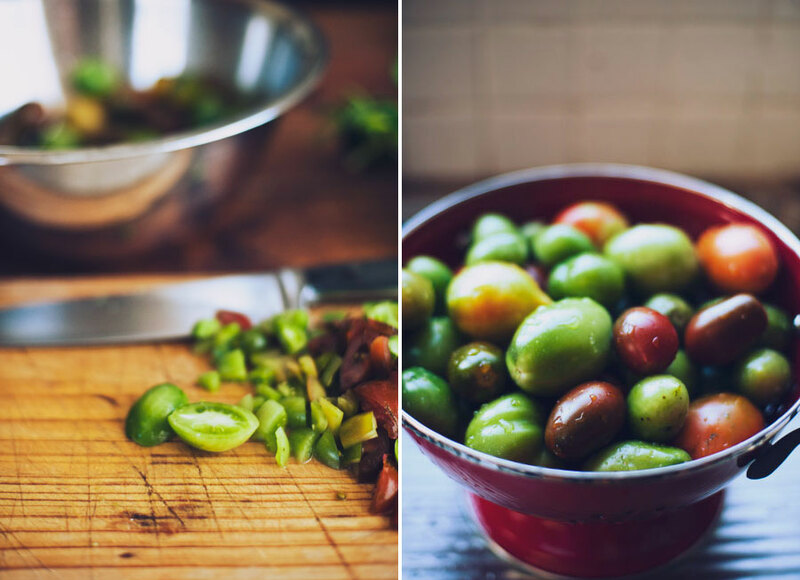 It's funny how making a green tomato relish can get you so yarning for winter and change.